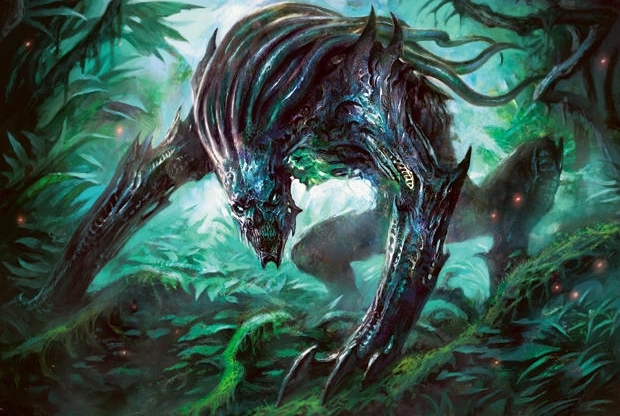 Slivers has long been thought of as a broken deck by casual players and a joke deck by tournament players — such is the eternal divide between Magic players. 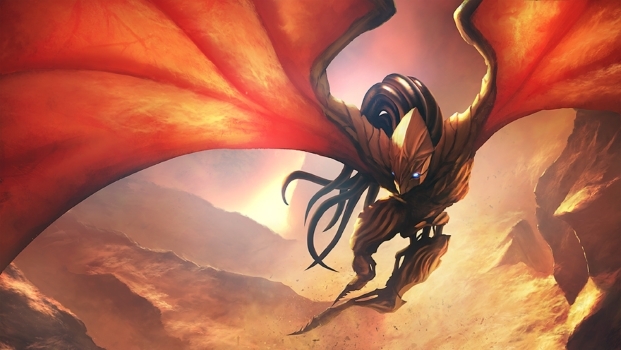 The intention of this article is not so much to make a case for Slivers as a strong, competitive choice in Modern, but to make an attempt at the most competitive possible list and leave the rest up in the air (for now). The archetype is built on creatures with the type Sliver powering themselves up. Unlike with other tribal decks, this isn’t limited to power and toughness boosts (although it has that, too), and it applies to the entire tribe, not just “other” creatures in the tribe. So right there, you can see the casual players have at least a bit of a point. Tournament players have a point, too: Slivers has never been dominant in any format. But they do pop up from time to time, earning their place by exploiting their synergy to the fullest while backing up the game plan with disruption. Most recently, Blake Patraw top 8’d the Legacy SCG Open Series Minneapolis with a counterspell-heavy Slivers list back in October. I mention this partly because most of the deck is Modern legal, and therefore shows promise for us (and gives us ideas). In Modern specifically, I’ve seen a few results. Most notably, a 1st place finish at a PPTQ in February by reddit user TrappedinLimbo, a day 2 finish at GP Milan by Gabriele Shito this past December, and a top 8 PPTQ finish by the same Gabriele Shito a couple of weeks ago. I believe the first is the best of the three (or to put it another way, the least terrible), so let’s have a look at it. So, if suboptimal lists can top 8 PPTQs and make day 2 a GP, then an optimal list has a chance at a bigger event, right? Well, we can try. Before I get started, I should address the elephant in the room: why should you play Slivers instead of another aggro deck, particularly Merfolk (which is the most similar)? Slivers has some things other, comparable decks don’t. First, there is more potential raw power, and more abilities to choose from. Merfolk lords don’t buff themselves, and they only boost stats and grant islandwalk, whereas we have stats boosts, evasion, and a variety of other abilities on offer. The latter isn’t necessarily much of an upside, because with the colours I believe are best for the deck, we’re not going to be doing much beyond what Merfolk does. Still, it should be counted, if for no other reason than it’s possible another colour or two should be played, which would give access to more abilities (mainly lifelink/lifegain). And all of the abilities stack — it’s not unheard of to have four 3/3 flying, virtually untargetable, lifelink Slivers in play. This is great on its own, but it also means when we include something like Diffusion Sliver for protection (a key advantage of Slivers unto itself), we’re not really giving up anything in doing so — Diffusion Sliver is still a big, scary creature a lot of the time, unlike, say, Spellskite or Kira, Great Glass-Spinner. While Slivers is likely not as good as its competitors (for the moment, anyway), I’m still of the mind the archetype can do reasonably well in Modern. Maybe it’ll never be as good as its peers, but it has enough going for it to make it worth trying. Let’s get to it. Straight up, we know we need to be in green and white because our Sliver lords are in those colours. Blue is nearly as necessary because of the excellent Galerider Sliver and Diffusion Sliver. So, Bant it is — so far, anyway. Black is interesting for sideboard discard (Affinity-style), but it doesn’t offer enough to make it worth using four or five colours (Leeching Sliver is good but can just be the arguably better Adaptive Automaton, and Syphon Sliver matters less if we’re running fewer colours, plus we have anti-aggro options in other colours). So, black is out. Red is, too, because it really just offers Striking Sliver (Sidewinder Sliver does pretty much the same thing, and pairs better with Phantasmal Image), and Lightning Bolt (which we like, but isn’t needed — also, Vapor Snag is sweet for a lot of reasons Bolt isn’t). Tribal Flames is a selling point for red, but playing 5 colours is probably bad and we kind of need all of our disruption to cost 1, and our 2 drops to be creatures, so that’s out. The decision is clear: we stay in Bant. Now let’s circle back and see what each of our colours offers outside of the core pieces. Green: Offers the least of the three, but is still valuable. With it we get access to the synergistic and powerful Harmonic Sliver, as well as Dromoka’s Command both as strong board options. White: Gives us the ever-important Path to Exile, as well as Sidewinder Sliver to ensure blocking is even more often disadvantageous. Plus, 1-drops are critical. We also get access to a swath of very potent sideboard cards. Blue: Phantasmal Image is a sometimes lord, and you know how much we love lords. It can also copy Sidewinder Sliver to really screw over would-be blockers. Very nice. In addition, blue grants us the very versatile Vapor Snag, “discard” in the form of Vendillion Clique, a “catch-all” answer in the form of Spell Pierce, and it makes our Spellskite better (if we use it). So while blue doesn’t have lords per se, it brings a lot of other elements to the table. The manabase could use refining, so treat it as a starting point and nothing more. The sideboard doesn’t exist yet, obviously. Feel free to leave your suggestions for it below. Once I get some testing in with the deck in the future, I’ll follow up this article with some footage, a refined list, sideboard plans, and whatever else you might want to see. In the meantime, feel free to leave your own choices in the comments. So, that’s Modern Slivers. I peg this list as roughly as strong as Stompy (about tier 3), which is to say good enough to take down smaller events, but probably never good enough to top 8 a big tournament (not that that should discourage you from trying). It also works well as a fun deck you can use to mix it up at your LGS. Great informative and thorough article! Off hand do you know how much this costs from scratch? 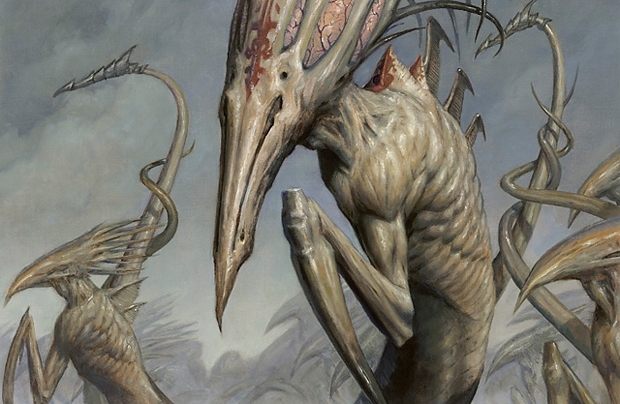 This is a fantastic article, and a place to start for brewing slivers. I’m going to test your bant list for sure. Flanking doesnt strike me as a big deal. Maybe the card is still good because its a 1 drop, but I’m not super worried about blockers not-named tarmogoyf with a slivers deck. I did see a 5c version with sliver legion, summoners pact, and I think it was somehow capable of also dealing 10 poison with virulent slivers. It was an aggro/combo hybrid where you could pact for the relevant sliver to deal lethal. Sidewinder is the weakest sliver in the deck for sure, though it does still have reasonable impact. I would love to use something else, but I don’t believe there are other options that would improve the deck overall. What happens if you run out of steam? Any way to get card advantage? It’s not often a problem so far in my testing, but of course there will be games when that happens. I don’t know of any good ways to get card advantage in a Bant aggro deck that don’t cost 3cmc or more. Sliver Hive and Mutavault help a bit. It is nice to see someone else looking at Slivers as a possible deck. Personally I prefer Sedge Sliver over Adaptive Automaton even with the required mana-base changes. I would also always run 4 Cavern of Souls with this deck. How do you feel about Collected Company instead of Vials? I know you’re leaning towards the ‘folk sort of build, but i find that if anyone manages to stabilize against your board, you run out of gas really quick and topdecking another vial feels terrible. Since you keep your slivers >3CMC, Collected Company can really put you back in the game, and end-stepping two lords into play is always fun. There are worse ideas, but I think 4cmc is not a good call for an aggro deck, plus we want to run a lot of Path and Snag which hurt it. Excellent article. I’ve been looking for some inspiration on how to make this very deck, and this might just be the springboard that I’ve needed. I can tell you that my experiences with Phantasmal Image as a Merfolk player have been sort of disappointing, and your deck likely has a similar setup. Diffusion Sliver’s handy ability sadly cannot save it. I would probably opt for Gemhide or Manaweft Sliver as a more consistent option, especially if you go the route that Johnny Altomonte suggests and you go for Collected Company instead of AEther Vial. It’s been good to me so far in testing. It’s possible with more testing I’ll reduce the count, but it has to be there — we have no better options imo. Manaweft + Company would be intriguing were it not for the fact we want lots of Path and Snag and Company hurts it. Plus our guys are so cheap and we have Vial — I don’t think Company does much here. If I recall correctly, the math allows for a creature count of 26+ while still having Company do good work for you (which is to say, a strong chance of hitting 2 creatures every casting). It also significantly ameliorates the issue of running out of gas. My playgroup has been testing it in decks like Zoo, and it’s been nothing short of phenomenal. I would test it were it not for the underwhelming flips issue Sheridan mentioned. I don’t doubt it’s crazy in Zoo, but I’m pretty confident it’s a bad fit here. In response to the comments about running out of gas, and my feeling that if we try to alleviate this, it should be a 2cmc or less card, perhaps Military Intelligence would work well. I’ll test it out and possibly include it in the follow-up article. I also like Collected Company here. We are over the requisite 22 creature minimum for the card to work well, and CC refuels us if we are behind OR if we are ahead. My only concern with CC here is we have some pretty underwhelming flips (Sidewinder plus Galerider is really mediocre, for instance). Another option is the timeless Lead the Stampede, which should almost always be a Divination for this deck and will often be a 3 mana Harmonize. Either would be worth testing. 4 mutavault, 4 reflecting pool, 4 sliver hive, 4 cavern of souls, 4 ancient ziggurat, 4 seachrome coast. That’s the mana base I prefer for slivers–plenty of support for vapor snag and path, easy casting on most of your other slivers, it’s a painless manabase, and it allows the splash of other slivers easily. It does only have 8 sources to cast path/snag, but I haven’t had a problem with it in testing. Triumph of the Hordes might be a thing to look into here. Also is there any MTGO footage of this list in action. I’m an old school Sliver lover and the idea of them in Modern makes me VERY happy. Best to go all in on Infect or not go in at all. I’ll have MTGO footage in the future.